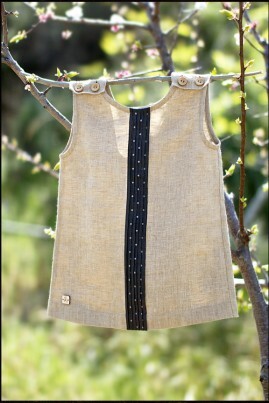 Inspired by summer breeze, this light, handmade, sleeveless dress for girls is made from the highest quality, soft, 100% linen. Nicely decorated with pleated light cotton fabric in front and natural wooden buttons on shoulders makes the dress even more exclusive. It permits freedom of movement and it is irreplaceable on hot summer days.